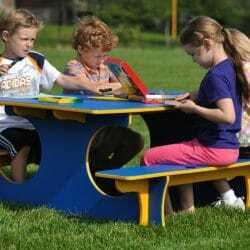 The Outdoor Classroom Table provides seating and work surface for up to 8 children on the natural preschool playground. 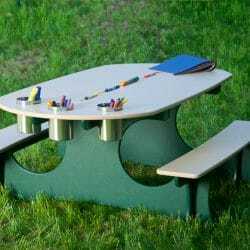 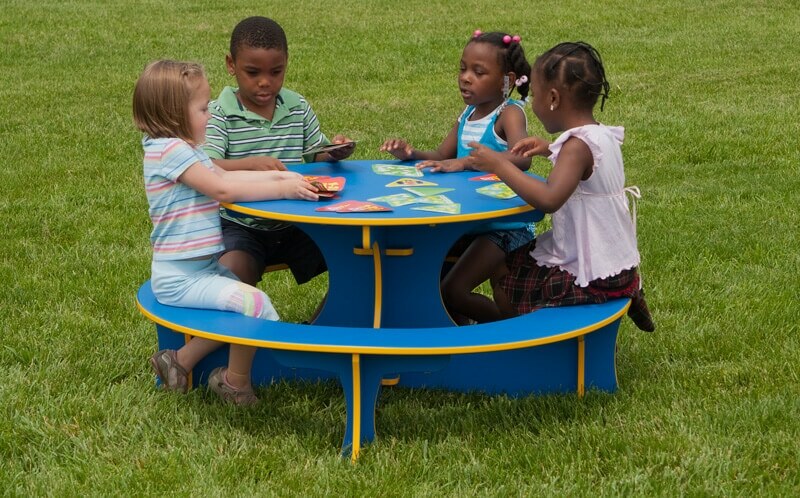 This multipurpose outdoor table for preschoolers can be used for writing activities, manipulatives, snack time, lunch, socializing with friends or just a place to sit and observe. 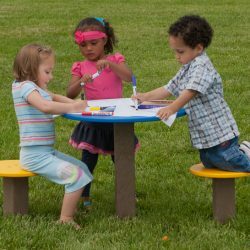 Clean up is a breeze with this solid plastic surface – just use a hose or bucket and water to clean the table top and bench seats.